"Professional and courteous from first phone call through completion of the job. 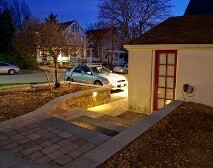 Workers were very polite and kept area looking as good as possible throughout the project. Couldn't be more pleased." 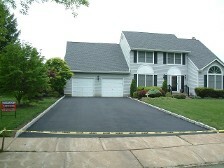 "Mike was very responsive to our call in order to meet and discuss plans for the backyard project. He tooks our ideas and sketches and was able to create something that exceeded our expectations. He was continuously engaged via email and text about quote inquiries and changes made after initial plan was drawn up. We would highly recommend Progressive Landscaping." "Just had a new patio installed in our backyard where we had a drainage problem. 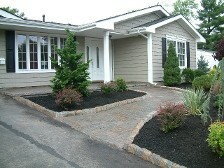 It was our good fortune to choose Progressive Landscaping. They responded to my initial call quickly, came over to check our problem, discussed all our options, colors of pavers and answered all of our questions in a very professional manner. All work was completed in time promised and they did a great job cleaning up. I would highly recommend Progressive to anyone looking for quality work at a fair price. Kudos and many thanks to Charlie and Mike for a job well done." "They did an outstanding job. The completed project is beautiful!! People driving by give us a "thumbs up". Neighbors were impressed with how thorough the workers were. 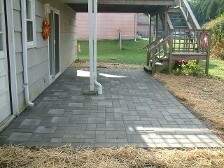 Mike went out of his way to use a supplier out of his area to get the particular pavers we requested. The cost of the project was about what we expected to pay. Another company was very high and a third was very low and was not going to get a permit from the township. Mike's pricing was just right!" "They came and did the work in a timely manner. They did a phenomenal job. They cleaned up after their work. My wife and I were very pleased. People drive around our house, ask who did the work, we give them his number." 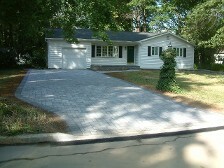 "They really did a nice job installing paver driveway and walk." "Job well done, came in with an excellent price, performed the job when they said they would and it looks great!"